U.S. Department of State, Secretary of State Hillary Rodham Clinton. The Secretary of State needed a mapping mechanism to show her travels, efforts in diplomacy, and otherwise expose the public to information regarding her trips so people would know what she was accomplishing. The implementation was necessary immediately before her rapidly approaching first scheduled trip. 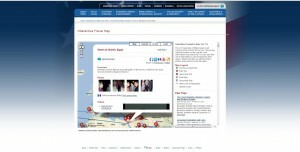 The Interactive Travel Map. TST rapidly developed a web-based Google™ Maps mashup, capable of enabling both the visualization of the information as well as a behind-the-scenes management interface to quickly add new information about a trip. 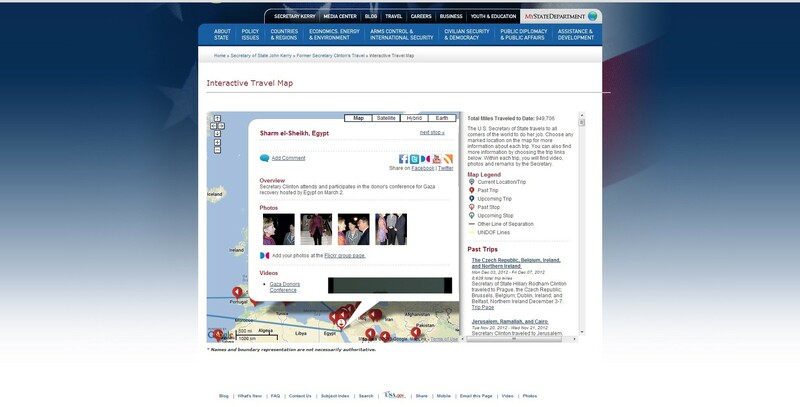 Over 2.4 million visits to the Interactive Travel Map since inception and continued efforts in enhancing the software and building towards future capability.